Summer is in full swing! We hope you are enjoying your summer and staying cool! Meet Finn! 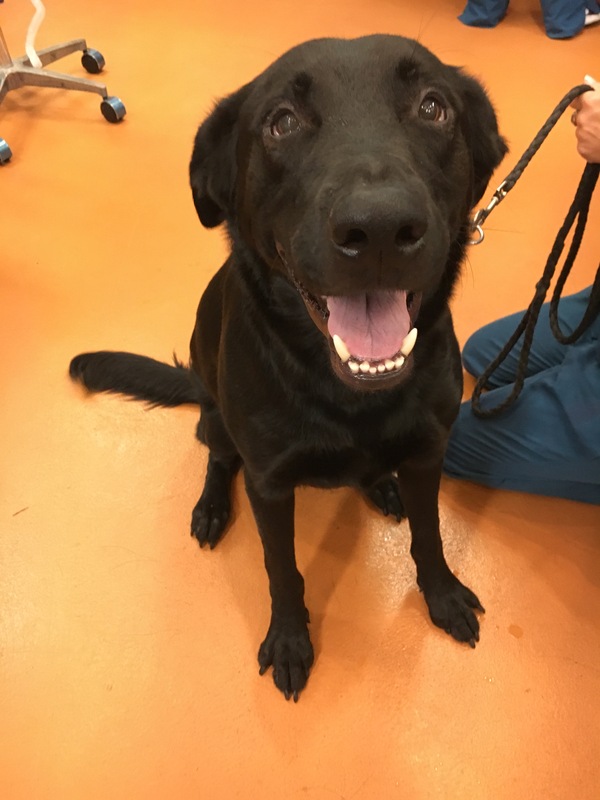 Finn is an energetic 3 year old lab! 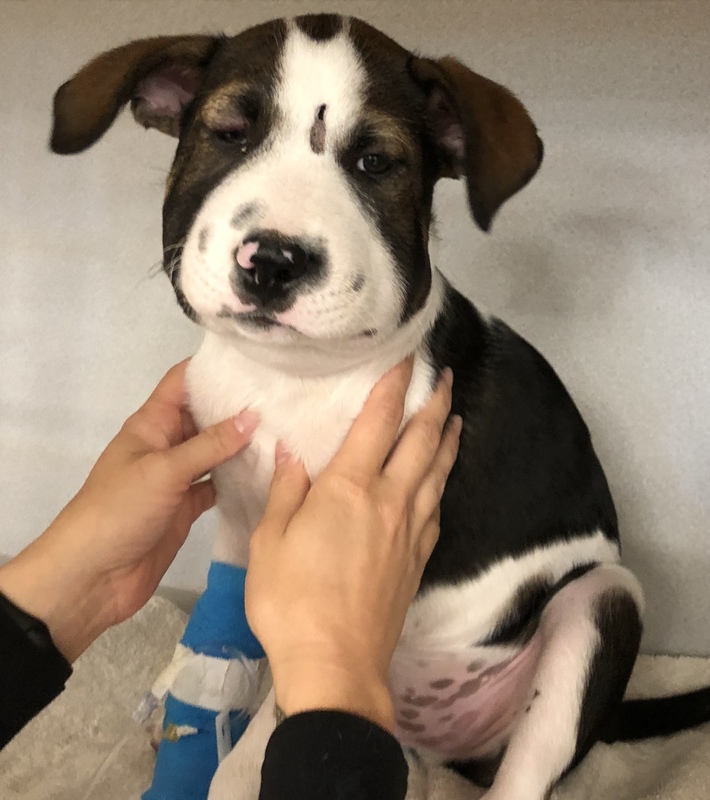 Finn recently came to visit Dr. Buntain because his owner noticed him squinting his eyes along with a green discharge. Despite trying eye drops and antibiotics, the redness and discharge still persisted. It appeared to be a condition called Entropion, which is an abnormality of the eyelids in which the eyelid rolls inward causing the hair on the surface of the eyelid to rub against the cornea (the outer part of the eye) resulting in pain, corneal ulcers or erosions. Finn had a surgery performed where a section of skin is removed from the eyelids to reverse its inward rolling. He is now much more comfortable and is not squinting anymore! Meet the adorable Dexter! 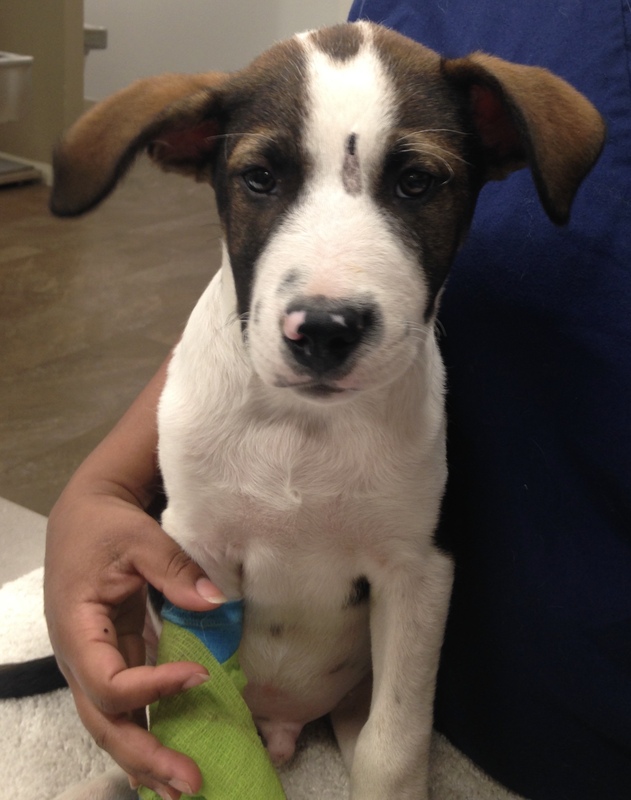 Dexter was recently adopted from the Humane Society of New Braunfels! His parents say he is an “old-man” in a tiny puppy body! About two weeks after being adopted into his forever home he was outside playing when he was bit by a rattlesnake on his head! He was taken to the emergency clinic right away and brought to us for his follow up care and treatment. Rattlesnakes are venomous snakes here in the Hill Country. These patients often require emergency care that includes IV fluids, antivenom and IV medications to support them thought it. Dexter is back home and enjoying that pup lifestyle! Did you know? We offer a Canine Rattlesnake Vaccine to help lessen the severity of the reaction. Call us today to see if your pet is a candidate for the vaccine! Previous PostJune 2018 Pets of the Month!